Canned applesauce, either commercially purchased or homemade, has a shelf life. Store applesauce cans or jars in a cool or room temperature environment at all times. 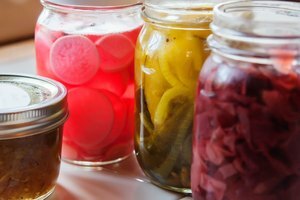 Any dented, leaking, rusted or cracked cans, jars or lids should be discarded to avoid botulism food poisoning. Once canned applesauce is opened, it must be refrigerated. The storage time shown on applesauce cans are intended for best quality only. "Best by," "Best if used by" and "Use by" dates on cans in the United States represent the manufacturer's estimate of how long a product will remain at peak quality. After the peak quality date, the applesauce color and taste may vary. Examine the canned product and check for damage before consumption after a peak quality date. 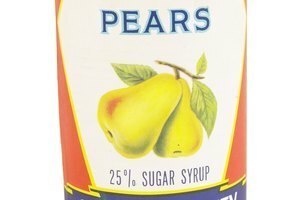 According to the website Still Tasty, properly stored canned applesauce can be kept and consumed for 12 to 18 months after the peak quality date. Keep up with the shelf life of your homemade canned applesauce. Applesauce remains fresher longer with less sugar, so use sweeter apples to help increase the shelf life if you are making and canning the applesauce yourself. Use Rome, Fuji, Gala, Red Delicious and Honeycrisp apples. 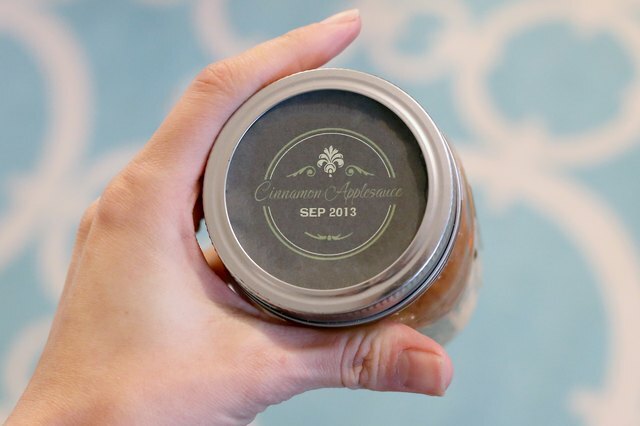 After you can the apples and seal them tight, place a label on the jar with the date the apples were canned. Examine the lids to ensure the center bubble has been sucked downward in a sealed position. If the bubble pops up and down, it is not sealed and must go into the refrigerator for consumption. If it is downward and does not pop back up when pressed, the jar is sealed and ready to store. 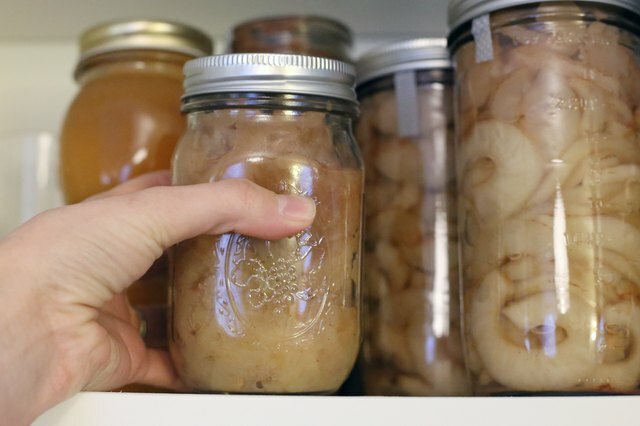 Store homemade applesauce jars in a cool pantry for two to three years. 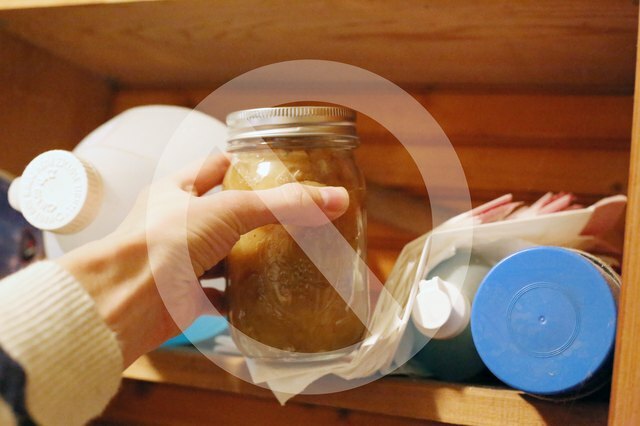 Don't be tempted to store canned applesauce in garages, storage closets, laundry rooms, utility closets or any space that receives humidity, heat or little air flow. Canned food is sensitive to the surrounding temperature. 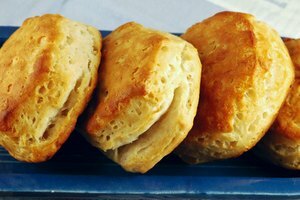 Keeping it at a stable temperature and dry is one of the keys to helping it have a longer shelf life. 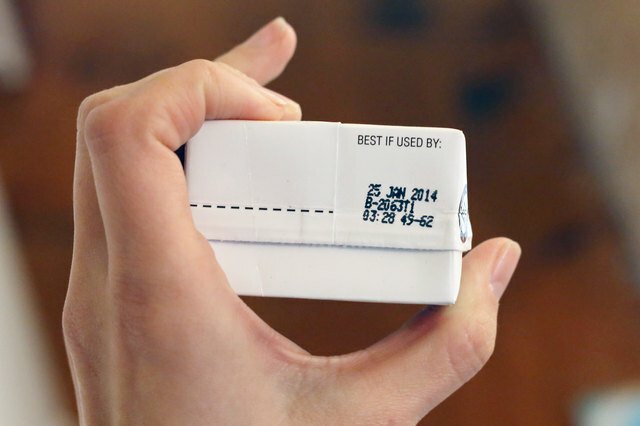 Expiration dates on supermarket foods have a lingo all of their own. Learn it to best understand your purchase. "Expiration date" refers to the last date a food should be eaten. After the expiration date, proceed at your own risk. "Sell by" date refers to the length of time the store has to sell the food. The store will pull the item after that date. The item is edible after that date, but it is not at its peak. The "born on" date refers to the date of manufacture and the item has been resurrected recently. "Pack" is usually found on canned foods. A pack date is usually in code by month, date and year, such as 080499. Many manufactures use the Julian calendar for pack dates, making them more difficult to understand. 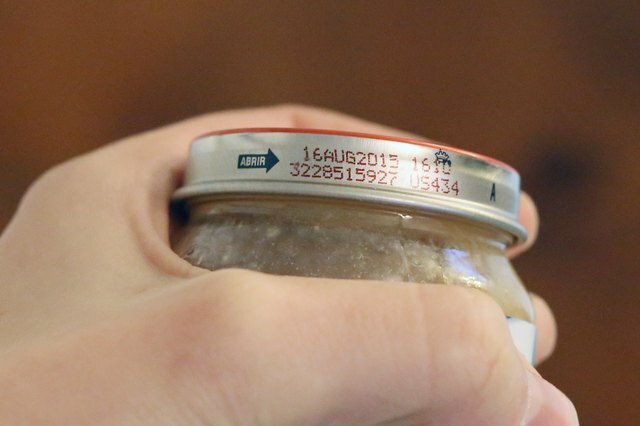 Web MD: Do Food Expiration Dates Really Matter?